My foundation flock is 4 British soay ewes: Jasmine, Dawn, Dorrie, and Daisy. From left to right: Jasmine, Dorrie, Dawn, and Daisy. I had always planned to raise one or two heritage sheep breeds, but didn't think it was something I'd do until a few years into farming. But that all changed when I read about British soay. Unlike some of the other heritage breeds I had looked into, soays are very hardy. They have good disease resistance, lamb easily (i.e., without assistance--there's no way I'm sleeping in the barn during lambing season! ), and are excellent mothers. They're also very small sheep (between 45 and 80 pounds), making them lighter on the land and much easier for a lone shepherdess to care for. Soay can also help improve pasture, as they'll eat browse (weeds, brambles, etc.). This means they also pair well with other ruminants. Best of all, soays do not need shearing. Instead, you hand-pluck (roo) the fiber in spring. They actually shed their fiber naturally, but it's much easier to collect (and cleaner) if you roo it yourself. Soay sheep come from the St. Kilda island group off the coast of Scotland. They are a short-tailed primitive breed, not much changed from their wild neolithic ancestors and thought to be one of the oldest surviving domesticated breeds. The current St. Kilda population is feral, as the islands on which they live were abandoned by humans in 1930. A small number of these sheep were imported to the US via Canada in the early 90s. All British soay sheep must be registered with the Rare Breeds Survival Trust (RBST) in the UK. Currently, there are fewer than 600 British soay ewes registered in the US, and fewer than 1500 in the UK. As such, they are considered an at-risk breed. Since no sheep imports have been allowed from the UK to the US since 1990, conservation of the current population is very important. 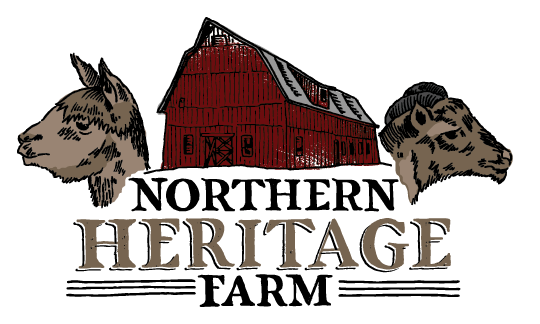 I can't state the why any better than Sue Weaver did in this article for Hobby Farms magazine (the same article that got me interested in this breed to begin with!). 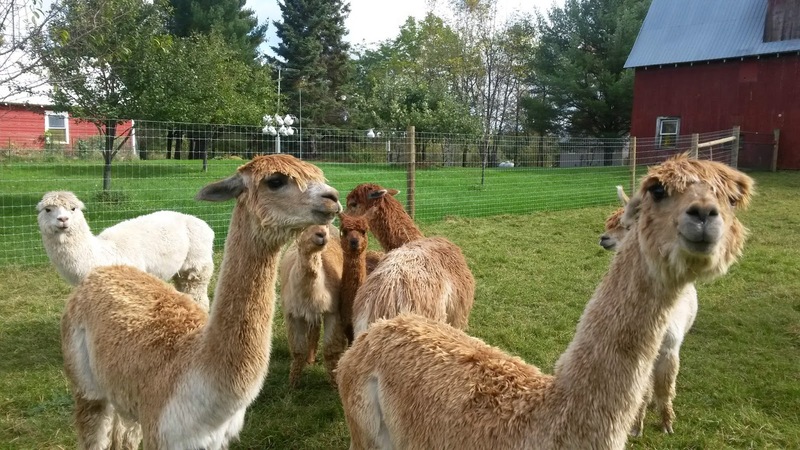 Alpaca fiber is among the softest, finest fiber in the world. It is more lightweight than wool, but warmer and stronger. Most people find it less itchy as well. 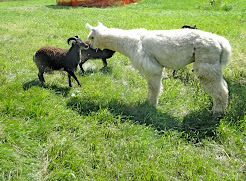 I first became interested in alpaca fiber when I learned to knit and realized I was very sensitive to most sheep wool. Then I met my first alpaca and I was a goner! The animals tend to have very gentle dispositions and are easy on the land. 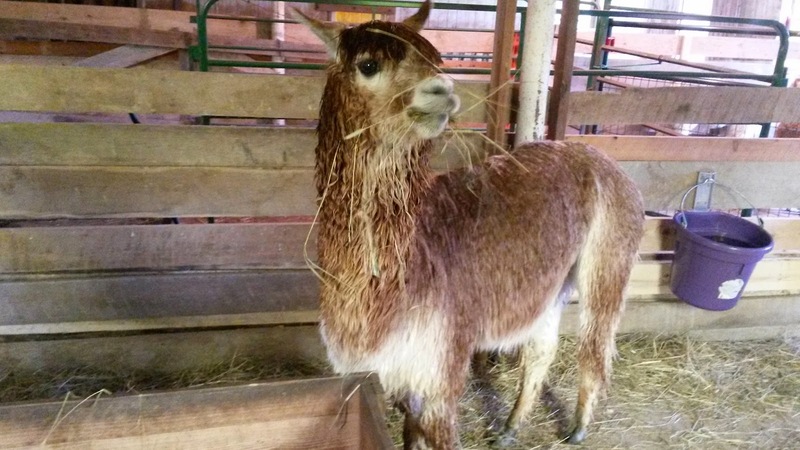 They don't need a lot of maintenance, and can be easily halter trained. 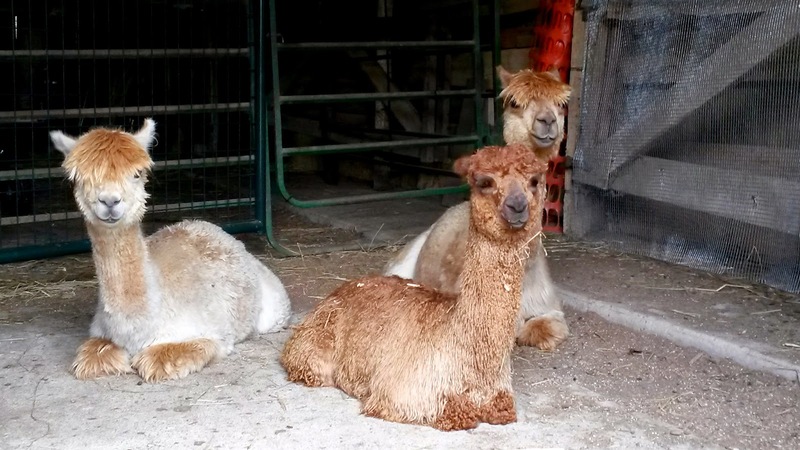 There are two types of alpaca: huacaya and suri. I chose suris, as they are more rare than huacaya. Their fleece is also finer and offers more luster than huacaya fiber. I think these elements will very nicely compliment the more lofty fiber of my soay sheep. I look forward to experimenting with blends after my first shearing in 2015! A farm is not a farm without some dogs! We have four silly rescue dogs and 1 cat. San, a husky mix and undoubtedly the nerdiest of the bunch. She loves to chase squirrels and chew on logs she grabs out of the wood bin. She also has a knack for rolling in stinky things and attracting the most ticks. Our beagle-pointer, Kaya, is shy and sweet. She LOVES being outside and remembers every single place she's ever spotted something fun to chase. Yuri is a shiba inu mix. He's our happy-go-lucky, nothing-phases-me guy. Whenever I'm feeling sad, I can count on him to cheer me right up. He makes me laugh every single day. Our newest addition is Knute, a beagle-coonhound mix. We took him in for some friends. He's our best cuddler. He loves nothing better than snuggling under a blanket with you. He's also our most mischievous dog. And this is Calvin, my mother-in-law's dog. They share the property with us as well, so you'll probably see him pop up in posts. My MIL also has a cat and a cockatiel! In the future, I'd like to add other sheep breeds and some chickens and guinea hens! Stay tuned!